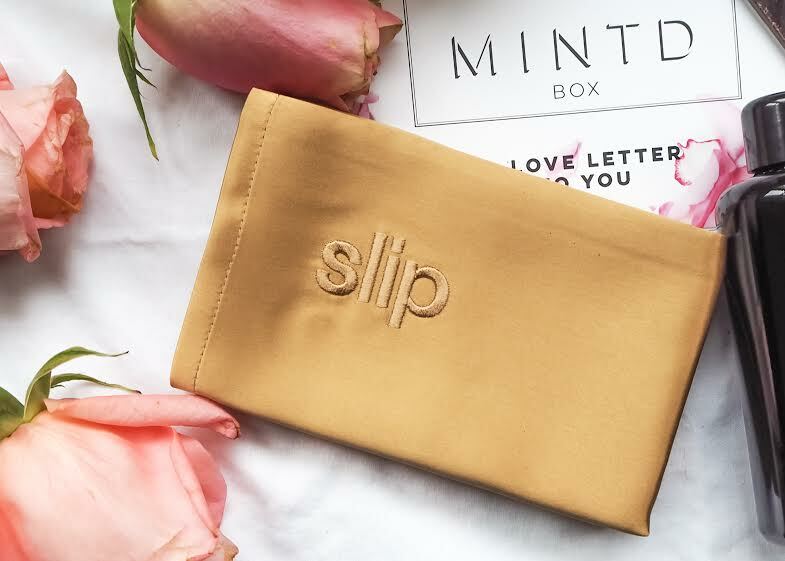 Whilst I purchase many beauty products throughout the year, I find myself needing my monthly top up and what better way than to be sent a darling beauty box each month, and this months box is a love letter to you from MINTD Box. This months box has been created for you in mind, to nourish, elevate and empower your inner and outer beauty. With little tokens of love and self care, this months box has all your needs this loving month, be it a treat for you or a gift for a loved one, this box has everything to keep you a happy bunny. A bath is a luxury treat and one that should certainly be spent enjoyed, I always wonder why I don't have bath's more often, they are so calming and relaxing, especially when you have one of my all-time favourite bath oils from Roque O'Neil, Therapie Equilibrium Bath & Shower Essence a heavenly fragrance bursting with With Persian Rose, New Zealand Lavender, Sandalwood, Jasmine, Wild Sweet Orange and the newly discovered Fragoni. Anytime you reach into my handbag you are guaranteed to always find lip balm, with the winter air my lips have become so dry and chapped, but I've been giving them a little love from Omorovicza, there super hydrating Perfecting Lip Balm, is a miracle and helps revive and nourish dry lips with this cooling and plumping lip balm, plus it leaves your lips looking nice and shiny. This lip balm has a delicate smell of vanilla, certainly not overpowering and it is perfect for any skin type. 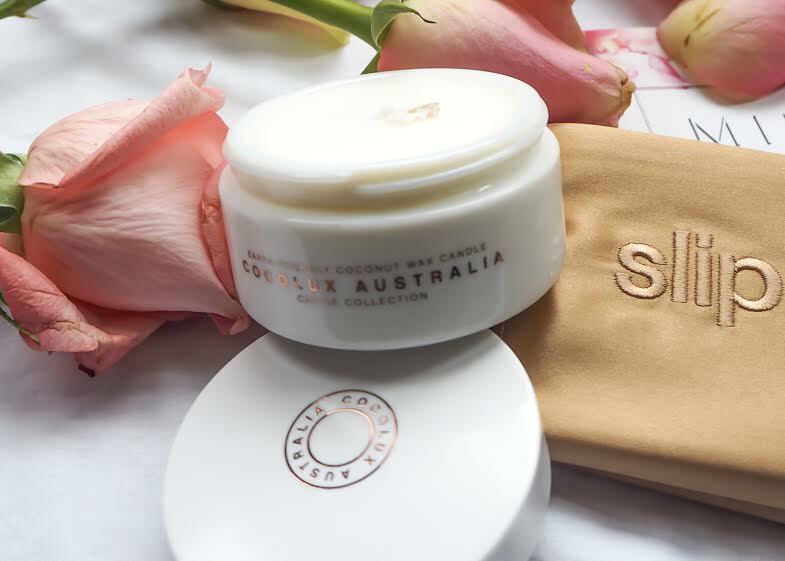 Nothing is more comforting and inviting than a candle, a nice warm glow Cocolux Australia's, Lily and Bergamont candle smells so earthy and androgynous, it features strong, masculine citrus and intense fern-like notes. 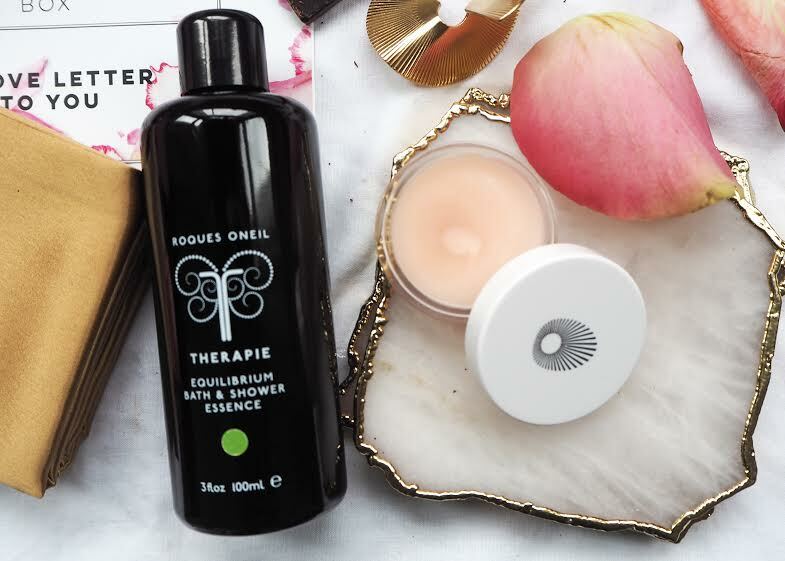 This strong rich base is gently complimented by the uplifting top notes of perennial floral and Lily of the Valley which makes you feel as though you are transported into a sort of magical woods and what is great is that it a natural product too. 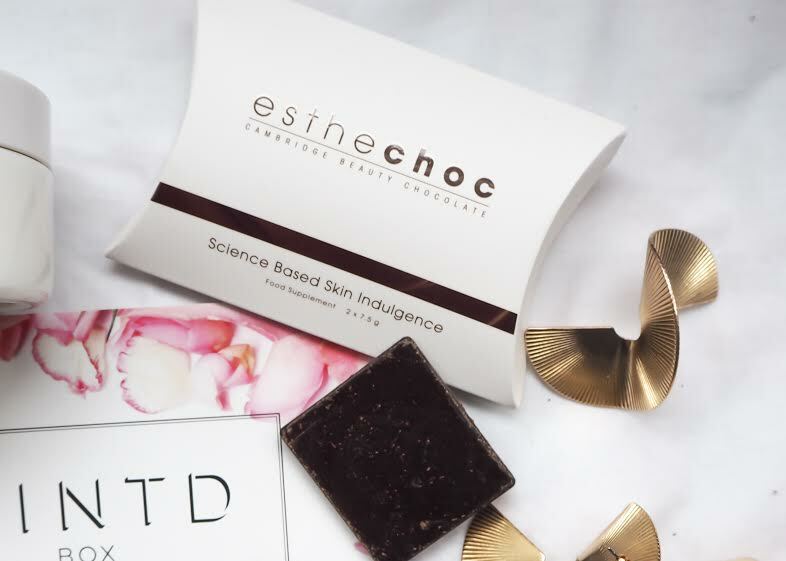 Ok, so where do I start, chocolate, chocolate in bed.....Pure heaven and Esthechoc has hit the nail on the head with this bad boy, this chocolate is a food supplement in the form of 72.6% dark chocolate and the world’s first nutricosmetic with a strong, scientifically proven impact on the metabolism of ageing skin. Need I say more, plus you only need a one bar per day, so a little certainly goes a long way, which is great, especially for me as I am not a major chocolate fan. Next time you find yourself tossing and turning at night, reach for Slipsilk™ anti ageing, anti-sleep crease, anti bed head pure silk pillowcase, it is a well-known fact that Cotton grabs your hair and twists it at the root throughout the night, damaging hair and causing bed-head in the morning, whereas slipsilk is so gentle on your hair, it allows your hairstyle to last overnight, great for those with brittle hair, plus it is great for your skin too. The box costs £70 per month a great price, as the box is worth £177. you can either sign up as a one-off or they have a new subscription package which recently just launched, a bi-monthly service (every 2 months they deliver a box). 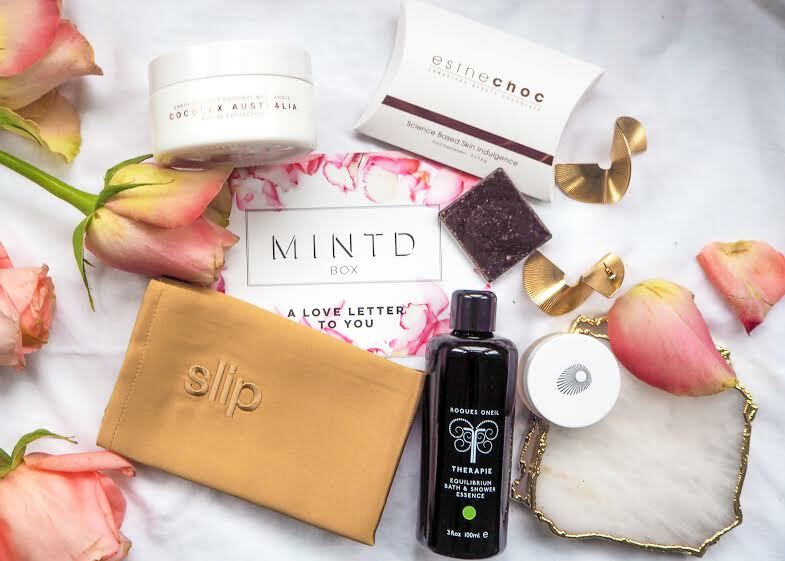 Have you tried this months MINTD Box?